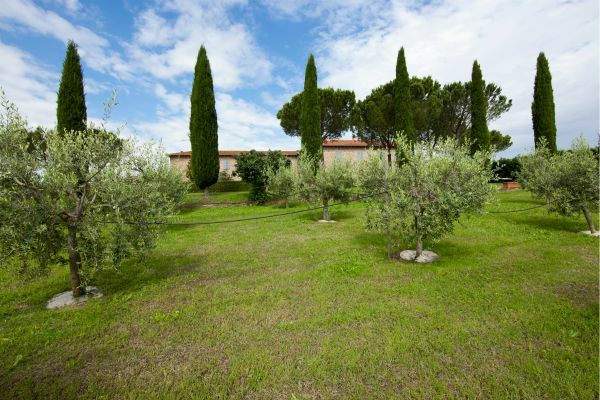 Florentine Farmhouse stands on a hill surrounded by wheat and sunflower fields. 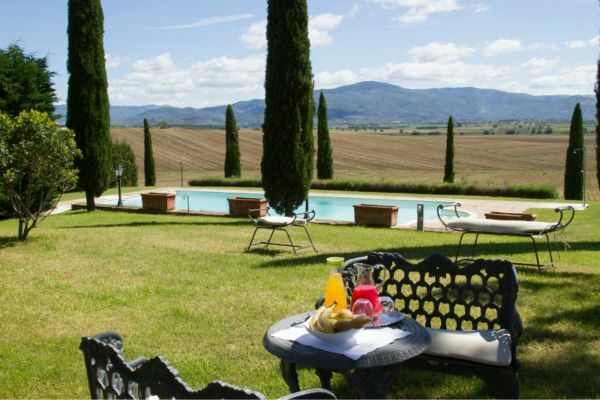 The relais is a skilfully restored former country dwelling, now a farmhouse with swimming pool immersed in a splendid green garden, in the heart of the Valdichiana valley, less than 50 km from Perugia and Siena, with scenic views of Cortona. 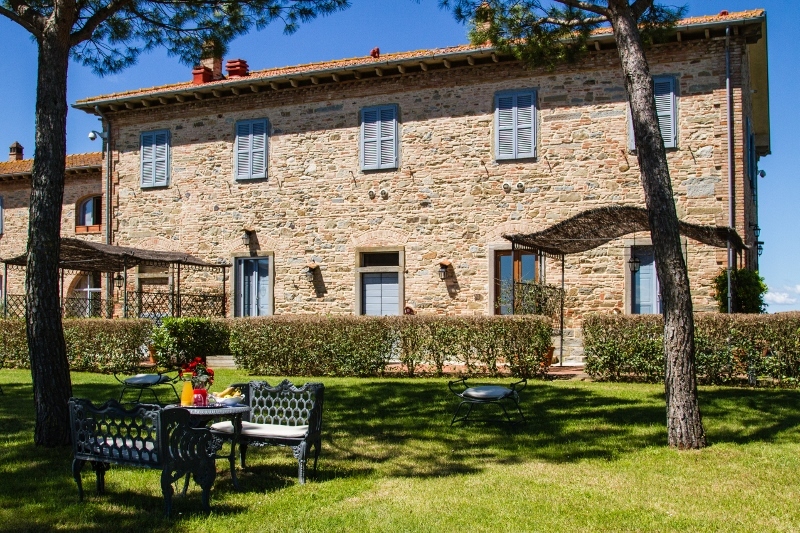 The stonewall rooms are with original floors and ceilings tiled with authentic cotto Toscano, and furnished according to our country tradition. 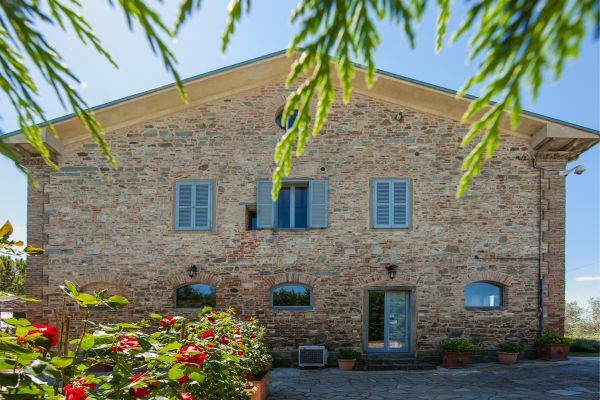 Each room is different from the others, and furnished with 1800s’ Tuscan furniture, original floors from the former farmhouse, reclaimed during the restoration process, in some of the rooms. 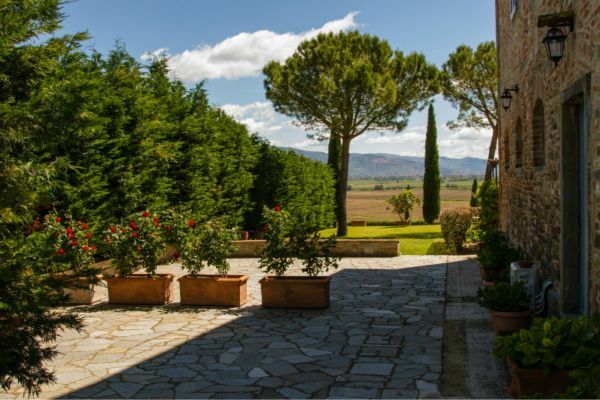 The view from the rooms encompasses the nearby hamlets of Cortona, Lucignano, Farneta, Castiglion Fiorentino, Civitella in Val di Chiana and Marciano. 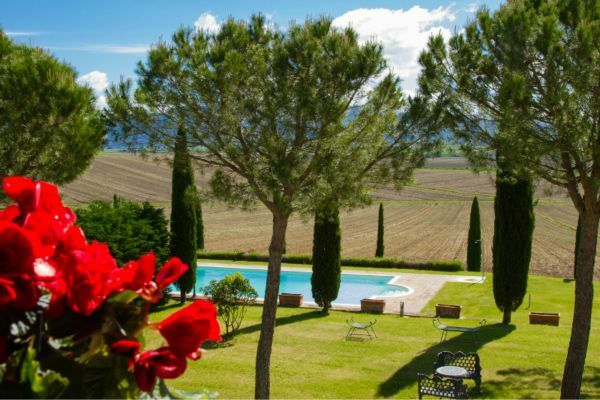 In addition to the owners’ private pool, Florentine Farmhouse treats its guests to a 14 x 7 metre outdoor swimming pool, facing fields often crammed with sunflowers, with the beloved and famous Cortona in the background. The swimming pool is an ideal setting not only for a swim, but also for a romantic dinner, a private party, an event or a ceremony. 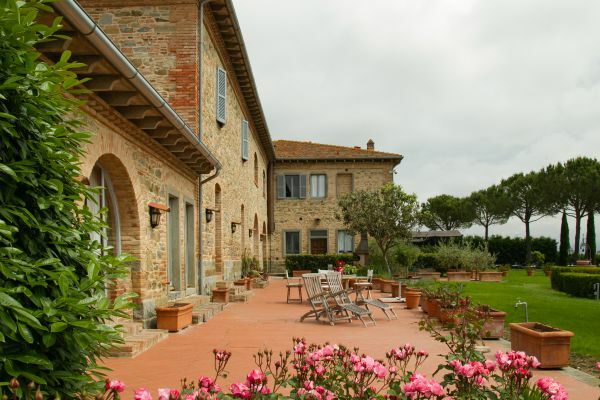 Our “Trattoria Toscana” restaurant, can seat up to 70 guests indoor and up to 300 in the garden. 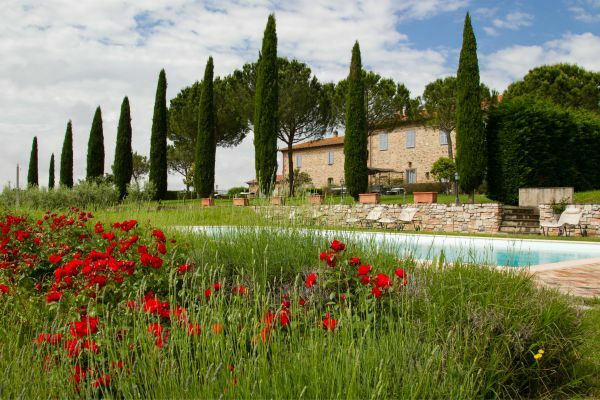 By us you can find the traditional food from Tuscany and from the province of Arezzo, like pici (a typical kind of pasta) or Chianina meat, accompanied by Tuscany’s outstanding wines, including Brunello di Montalcino, Nobile di Montepulciano, and Cortona Syrah.